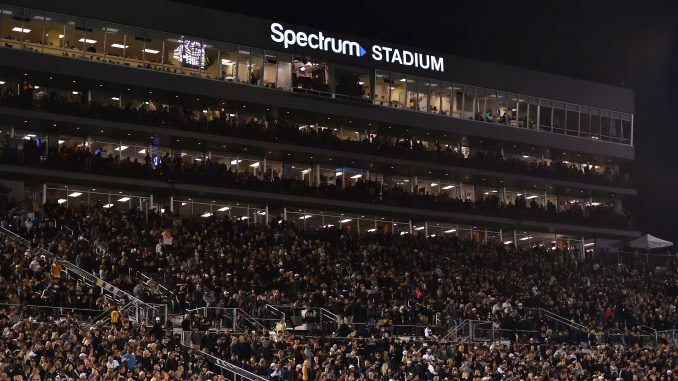 The week four matchup between UCF and FAU at Spectrum Stadium probably didn’t inspire too much feeling when it was announced in 2015, but a lot can change in a few years. It really only took one season to make this a meeting worthy of a Friday night prime-time slot on ESPN. While the Knights were putting together their perfect 13-0 season in 2017, the Owls had an impressive year of their own. Lane Kiffin took over the program and brought success to Boca Raton instantly with an 11-3 record that included a 10-game winning streak to close the season. Now that Kiffin, with his unique personality, is leading the way, it’s nearly impossible to ignore FAU. It doesn’t seem like anyone is sleeping on the Owls’ potential heading into 2018. In its first year under Kiffin, the FAU offense didn’t disappoint. The Owls scored 40.6 points per game (good for eighth in FBS) and averaged 498.4 yards per game (ninth). While quarterback Jason Driskel (2,247 yards and 15 touchdowns) was a big part of that success, the biggest star was running back Devin Singletary. He ran for 1,920 yards and 32 touchdowns, taking advantage of his FBS-most 301 carries. “Motor” put together 12 straight 100-yard games to end last season and will surely remain the focus of the offense in 2018. Having Singletary as the go-to guy good news for FAU, as is having some experience along the offensive line. These are especially important assets with a change coming at quarterback. Driskel decided to retire from football after last season. Daniel Parr, the only other signal-caller on the roster with more than three passing attempts last year, transferred. That leaves it up to either De’Andre Johnson (formerly at Florida State and East Mississippi Community College) or Chris Robison (formerly at Oklahoma). Whoever wins the job will have last year’s leading receiver, Willie Wright (657 yards and six touchdowns) back. Behind him, though, there’s some replacing to do. Tight end Harrison Bryant is a proven talent, but there are also some eligible transfers that are bound to take the field for the Owls this fall. Defensively, FAU wasn’t overly impressive last year. The group only allowed 22.7 points per game but gave up an average of 389.6 yards per game left (63rd in FBS). There’s a ton of experience on that side of the ball this year, which is usually helpful. The defensive line has three starters coming back, while the entire starting linebacker corps from last year is also still there. Most of the secondary is also returning. That includes Jalen Young, who tied for the most interceptions in the country last year with seven. The defense as a whole came up with 20 picks, which was the second-best mark in the nation. The Owls must replace their kicker and punter from last year, so there is some uncertainty on special teams. There isn’t necessarily one guy that stands out in the return game either, which means there could be an opening there as well. FAU will enter the season with expectations of repeating as Conference USA champions. Despite the lack of clarity at quarterback, Kiffin’s offense should once again be very good. Johnson and Robison are both talented, while Singletary has to be the favorite to repeat as C-USA MVP. There is enough on the defense to complement the offense and the special teams questions aren’t anything to be too concerned about. The Owls open the season at Oklahoma in addition to their visit to Orlando, which gives them a tough non-conference schedule. Even still, ESPN’s FPI has them favored in eight games this season. They will contend for a conference title while Kiffin continues to be a must-follow on Twitter. Rumors about him heading off to another job are sure to surface at some point, but there’s no doubt that he will handle those in an entertaining way. Final Thoughts: This one should be extremely fun. Spectrum Stadium should be rocking for a Friday night contest, especially with a talented in-state team in town. There are plenty of must-see matchups within the game, including McKenzie Milton against FAU’s ball-hawking secondary and Devin Singletary against Randy Shannon’s defense. UCF enters as the clear favorite at home, but an FAU upset might be a popular pick. There will be plenty of points to go around, but the Knights should ultimately be the better team in the end.